Can a Personal Injury Lawyer Help after an Amputation Injury from an Accident in Florida? Amputation injuries are among the most serious permanent injuries you can suffer in an accident. They can be caused by various types of accidents, including car accidents, truck accidents, motorcycle accidents, pedestrian accidents, and falls from high places. If the amputation was the result of another person's or company's negligence, you may be able to recover compensation for losses resulting from the amputation. Amputation injuries are a frequent cause of disability in the United States and in Florida. Approximately 185,000 amputation surgeries are performed annually, with ten percent of those injuries resulting from accidents. 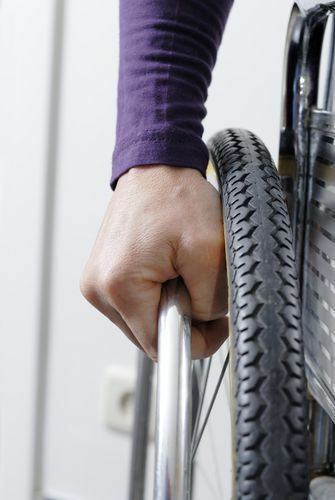 Approximately 70 percent of all trauma-related amputation injuries involve the upper limbs, according to the National Limb Loss Amputation Center. These include amputation of all or part of an arm, hand or fingers. What Damages Can I Recover for an Amputation Injury in Florida? If your amputation became necessary as a result of someone else's carelessness, for example if you were injured in a car accident and the other driver was at fault, you will be eligible to make a claim for damages against the person responsible for causing the accident. Of course, the medical expenses for the amputation surgery may be high. Any amputation can make it difficult for someone to perform a job or do everyday tasks. Serious amputations may make it impossible to return to your job, may require expensive prosthetic devices, and may take years of physical and occupational therapy before you are able to work at all. You may need multiple surgeries, painful rehabilitation, and extensive counseling to recover from the emotional trauma experienced following an amputation. With the help of a Florida personal injury attorney, you will seek a recovery for current and future medical expenses and lost wages, as well as for pain, suffering, disability and disfigurement. If you have had a body part amputated as a result of an accident in Florida and have questions about what you need to do to make a claim to recover damages, Jim Dodson, a personal injury lawyer in Clearwater can help. Jim is always happy to answer any questions you have about pursuing a claim. Just pick up the phone and give him a call at 727-446-0840.